Get your Santa hats and Christmas jumpers at the ready – we’re very excited to announce the final details for our biggest Jingle Bell Rock yet! 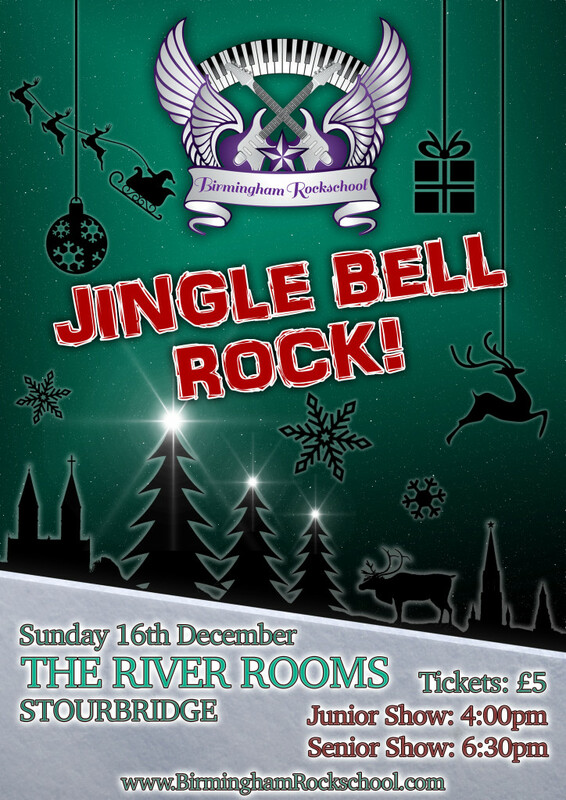 Students, tutors and the Birmingham Rockschool choir will be performing at the River Rooms in Stourbridge on Sunday 16th December in two fantastic festival shows! Tickets cost £5 OTD, and one ticket covers both shows!